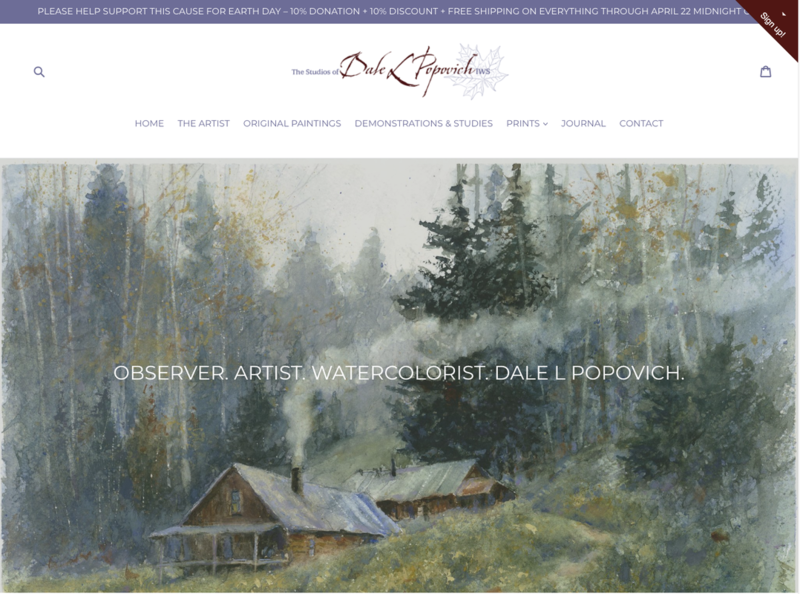 Developed and co-teach a course titled Fundamentals of Drawing & Painting with Robert Krajecki IWS. This course is vital to all students wishing to pursue a successful art career, as well as students who wish to improve their drawing or painting skills. Fundamentals 101 covers the basics of color theory and practice, composition, linear perspective, and many of the various techniques of painting. Fundamentals 102 stresses color theory and application. In 103, students put into practice theories and applications learned in 101 and 102 through several landscape painting studies. Each assignment is designed specifically for both the beginning fine art student as well as intermediate students. Following the tradition of the Academy method of instruction, all three levels are taught in the same classroom, which encourages reinforcement of theories and practices within all levels. All students that have completed the Fundamentals 101, 102, and 103 can continue with the 201 class to choose areas that they wish to improve. All assignments are individually designed to help the student in the area or areas that they chose. Each assignment will be incorporated with painting landscape, seascape, still life or figures. As the student understands these elements through painting pictures they will have better control of the medium and gain a deeper understanding of the creative process of transparent watercolor painting. Hired by President and Director, Irving Shapiro, to keep the high, classic, rigorous education standards of the American Academy of Art that was held since the 1920’s. Worked in conjunction with the Department Chair of Fundamentals of Art, Robert Krajecki, in developing curriculum, managing faculty and seeing to the needs of students in the department. Worked with the Director of the College setting standards of student and faculty exhibits. Gallery Curator: job included content specialist responsible for American Academy of Art's student collections, special event shows, faculty shows and involved with the interpretation of heritage material. Established architectural footprint for current Academy's gallery and display areas. 1987-1998 - Portfolio entrance review with students applying to school and determining class level. 1987-1998 - Served as New Student Counselor/Relations Manager, dealing with students’ personal issues and helping them transition into a higher education environment and academic culture. 1989-1995 - Wrote series of course descriptions and developed summer courses in Illustration. 1992 – Wrote Fundamentals of Arts course descriptions and syllabi along with the Department Chair, Robert Krajecki, which was needed for BFA classes at the school in order to meet new accreditation standards. Volunteered to help the Highland, IN Downtown Renovation Committee create an attractive and unique area which would entice new businesses and increase consumer foot traffic. Co-chaired the Aesthetics Committee for one and one half years, interviewing Midwest communities about the process, and creating a video report of the findings. Developed all market strategy and materials to promote awareness in the community. Tasks also included interviewing landscape architect, engineering, and marketing firms. Presented recommendations to the Committee, Town Council, and public.